Most people who believe in God love to quote this scripture. It’s often said to be a comforting scripture. I must agree it is a favorite of mine as well. When I teach Bible Study which I have renamed CROSSTraining at my local church I try to take a fresh approach to tackling the scriptures. Could we say IF you follow God you can have everything you WANT? So why are we seemingly in LACK? Why are we constantly asking God for something, anything, everything. Have we forgotten the first part of the scripture. 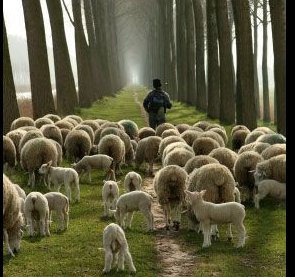 WE HAVE TO FOLLOW the shepard! Then we can confidently declare the 2nd part of the scripture.